Do you have the right keywords working for your website? The chances are, if you’re regularly putting up great content that your target audience wants to see, putting effort into promoting it, but still not really seeing results in terms of website traffic, you may need to start with (or revisit) your target keywords. 1. Keyword research tells you what your audience is actually looking for. 2. Keyword research teaches you the language in which to communicate – the right combination of words is important! You could think of it as a form of market research – what is your target audience looking for and how many of them are looking for it? So in essence, using the right combination of words will allow you to separate buyers from browsers, or those looking for general information from those looking for something very specific. 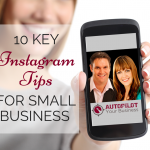 What are the most important topics that you would like your business to rank for? Start brainstorming these as 6 – 10 general topics which you can find specific keywords around later. The best thing you can do is to start out simply – you don’t need to get overly creative at this point as your research later will point you to more specific combinations of keywords. 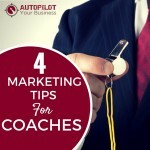 For example, if you own a financial planning practice, start with “financial planning”, if you are a business coach, start with something like “business coaching”. It may help when coming up with your 6 – 10 topics to think of them in terms of different buckets. So for example, your financial planning business might have topic buckets like: “financial planning”, “retirement planning”, “investing”, “financial forecasting”, “wealth protection” and “financial advice”. Brian Clark of Copyblogger recommends that you spend the time researching the precise niche you want to produce content on that makes it irresistible to your target audience. Makes sense really! In order to get your content seen, it takes hours of dedication to your topic so you do want to make sure some science has gone behind your content decisions. Let’s start with Google because you can use this tool for free. To begin with, you do need to make sure you have signed up for a Google Adwords account in order to use the planning tool. The first thing you will find is that you are given a number of options for beginning your keyword search. If you are starting from scratch as we are here, we would generally go for the first option, “Search for new keyword and ad group ideas”. Next up, you want to search by one of your keyword topics by typing it into the “product or service” box. 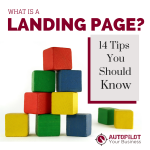 You could also use your target landing page, but we would recommend searching by keyword first at this stage. 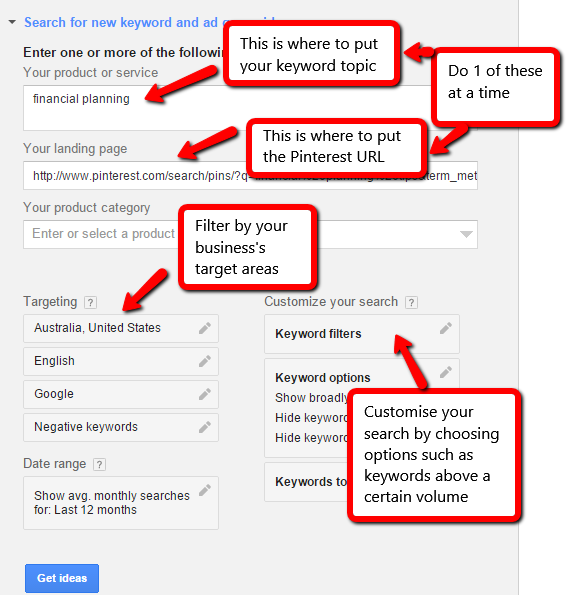 Another little trick; try using the search function on Pinterest to pull up your keyword topic (in this case we’ve used “financial planning”). 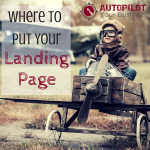 Use the Pinterest URL that comes up with the search as your search URL under “your landing page”. You will also notice that you can further filter your search. We recommend filtering by the target areas for your business and also by search terms that are over a certain volume. (We will get to the decision on how to define “high” or “low volume” in a minute). From there, click on the blue “get results” button, then make sure you are reading the results from the tab which says “keyword ideas”. You should now have in front of you a range of related keyword ideas, along with their search volumes and competition for your target area. There are other keyword tools available out there, many with more features available than the Google Keyword Planner. You will generally need to pay a subscription to use them. Wordtracker is a popular keyword tool which has the added bonuses of helping you to organise your searches and providing competition data. Hubspot also offers an SEO tool as part of their inbound marketing software. One of our personal favourites is iSpionage. It easily allows you to see your competitors’ keywords for both SEO and ads they are placing on Google Adwords. What we love is that you can even see the ad copy your competitors are using and save screenshots of the landing pages they are sending traffic too all from within your dashboard. 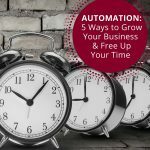 Again you will pay a subscription fee, but the advantage that these paid services tend to have over Google is that they simplify the process and save you time. With all of these amazing options there are no excuses not to know which keywords to use in your business. 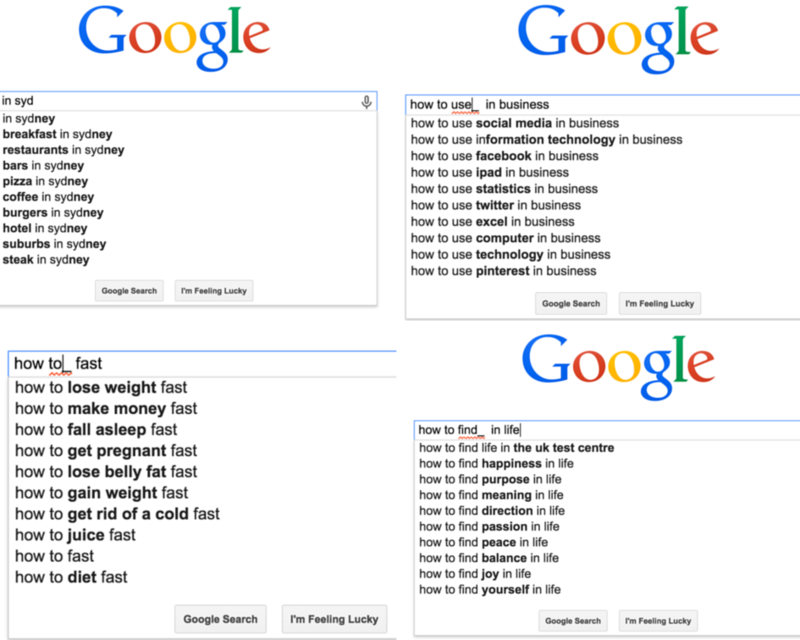 What are long-tail keywords? Simply put, they are the longer format which a person who is typing a query into a search engine will generally use for a search. 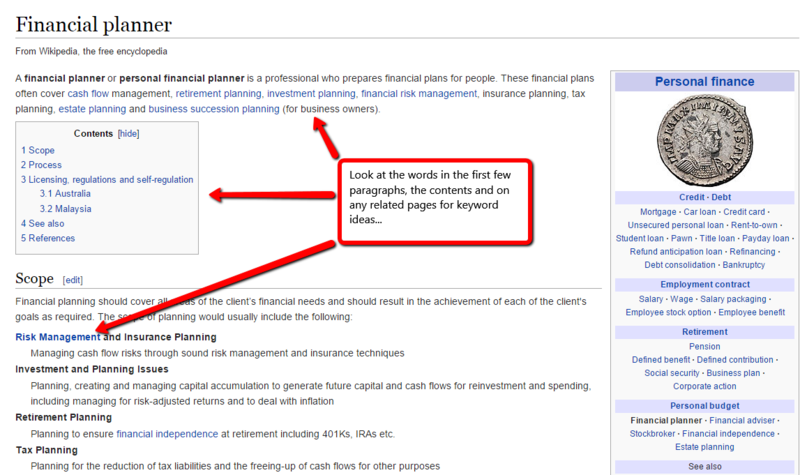 Our example “financial planning” is a short-tail keyword. 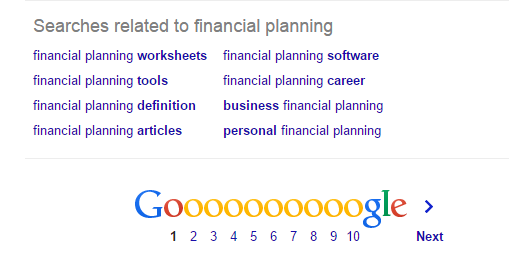 If you search by the short-tail you will get a huge number of generalised results on financial planning, but you are unlikely to get something of specific use for your needs. For example, the phrase “financial planning for retirement” might be something more specific that the searcher wants to know, or even “financial planning for retirement in Australia”. That is not to say that you shouldn’t include short-tail phrases in your work, just that as these are (usually) much more difficult to rank for, you will tend to find that it takes you much longer to turn up in search results for them. You should aim to balance your content with short and long-tail keywords. A key distinction you want to make when determining your long-tail keywords is whether the search term is likely to be used by a buyer, an information gatherer or a ‘freebie’ hunter. Your preference should be based on what the goal outcome is for the page, article or website you are keyword searching for. What’s the point of distinguishing these? Well, you want to match up your targeted keywords with the intent of your website visitor and the outcome that you want for your business. So if you are writing some content with the goal of drawing buyer traffic, you should look to target long-tail keywords that a buyer would search for. 5. What is a good search volume for a keyword? What do we mean by “high” or “low” volume searches? You will need to decide what a good monthly search volume is for your keywords – bigger isn’t always better! High volume searches can mean greater competition to rank for those keywords, whereas too low can mean they just aren’t viable for your business. Remember to keep in mind your goal outcome, which we discussed above, when deciding what a good volume is – perhaps 800 searches in your target area per month for terms used by buyers is actually a good number? It’s about knowing your business and what your requirements are. You can filter the results by competition as shown above, but while these keywords are relatively high search volume for low competition, you need to decide if they actually relate to your end goal. (“Financial advisor salary” looks good but is not a term that your customers will be searching!). The other thing we would do is actually check your search term in Google. We check that there are a few ads (which tells us there is money in the keyword phrase), but not too many as it will otherwise be difficult to compete. 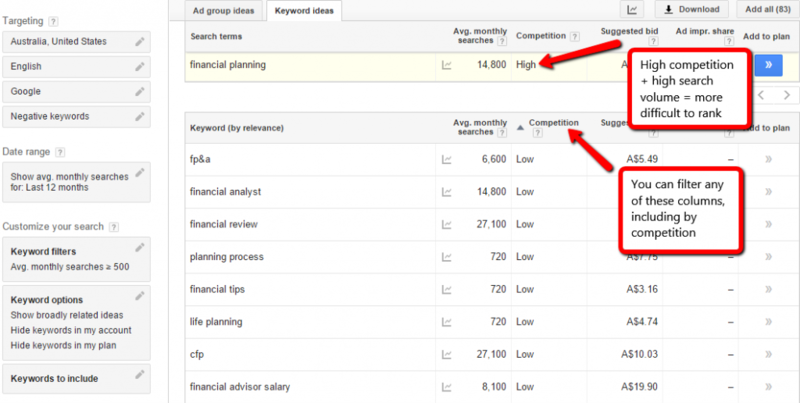 Are you actually going to be writing enough content on those keywords in order to rank? Has your content been created for your buyer persona? This is super-easy and gives you a few more terms to check out – while you are in Google searching your keyword phrase, scroll down to the bottom of the page and check out their suggestions for searches that are related to what you have put in. This is especially good if you are struggling to come up with other ideas! You can also look at the related search terms of the related search terms if you want even more ideas. Add any that you think are relevant to your list for checking with a keyword tool. While you’re at it with Google, another great source of keyword ideas is the autocomplete which shows up results to predict your query as you start typing. This is great for you because it tells you what is popular, what people are searching for ‘now’ (the algorithm used is based on what is current), as well as providing long-tail phrase suggestions. If you want to make sure you start from scratch and Google doesn’t just pull up terms you’ve searched for before, log out of Google to do your search or open an ‘incognito’ window. (For Chrome PC users: Ctrl + Shift + N, for Mac users: Cmnd + Shift + N). Wikipedia – search your topic and identify the most relevant key terms from the first few paragraphs of the Wikipedia entry, creating long-tail phrases from them. Remember also to check any related pages that are linked in the entry. Metaglossary – enter your search term and click ‘define’. 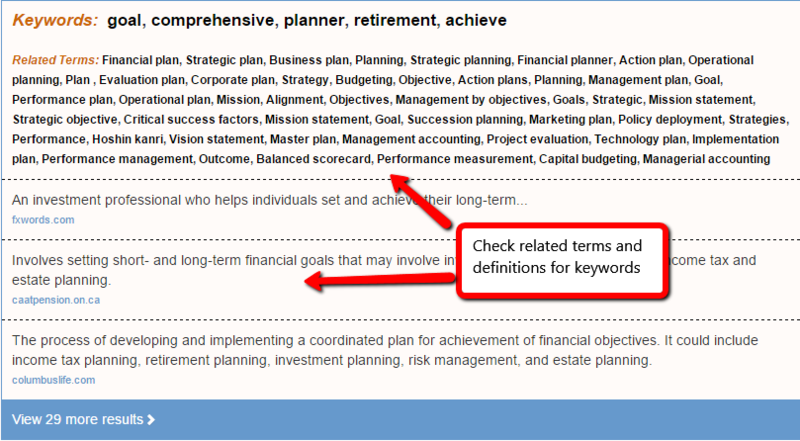 Check out the definitions and related terms that come up for any that should be incorporated into your keywords. Amazon – (best if you have physical products which Amazon also sells). Look for the Amazon result when you Google your keyword term, click through, then look for keywords in places such as “show results for”, headers and text. This starts by knowing who your competitors are. 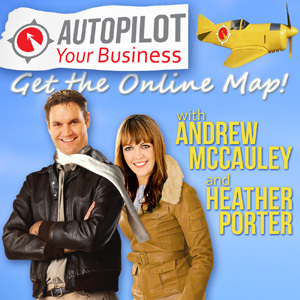 Create a list of your top few competitors for your area and check out their websites. While the keywords they are using may not be relevant to you, they may well be and may provide extra ideas for you to be looking at. Firstly, do they rank for any of the keyword phrases you have already identified on your list? If they rank for those it makes sense for you to also try and improve your ranking, but don’t discount those which they don’t seem to be using either. 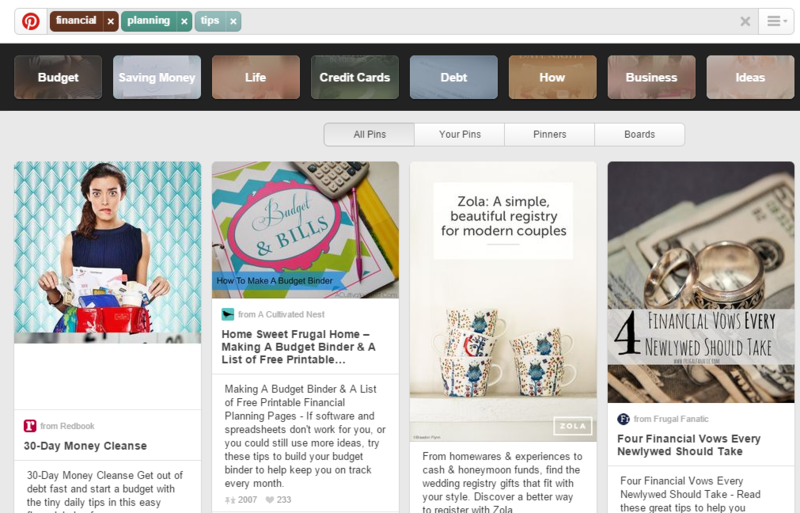 Secondly, take their web URL and input it into the Keyword Planner (like what we did with the Pinterest URL earlier). 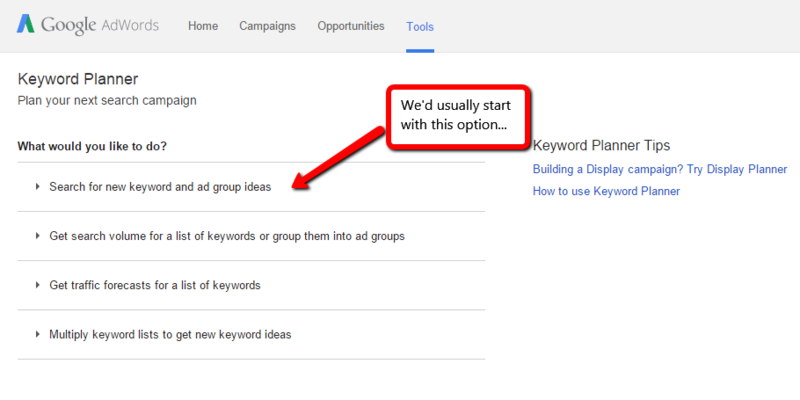 Check out the resulting keyword ideas including any ad group ideas. 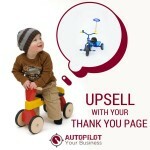 You could also use a paid tool such as Spyfu to pull out their most profitable keywords. 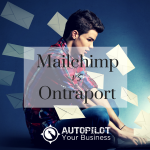 By now you should have a list of potential keyword phrases to target. 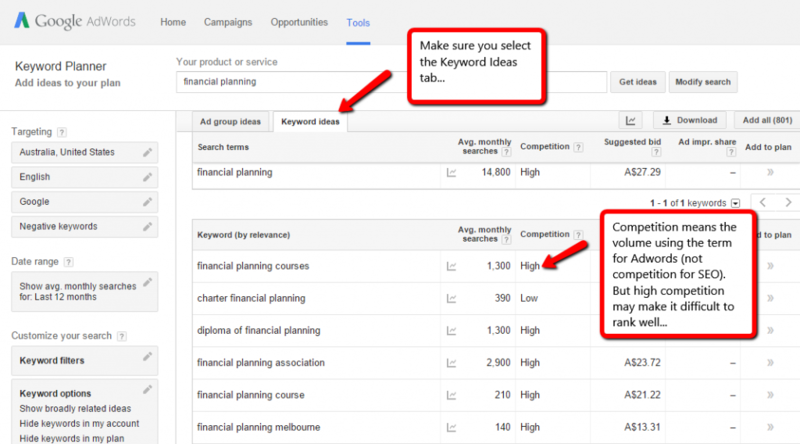 Go back to the keyword tool at step 2. and check out search volumes and competition for each phrase. Another great feature to check out is the trend graph which you will see at the top of the results page. 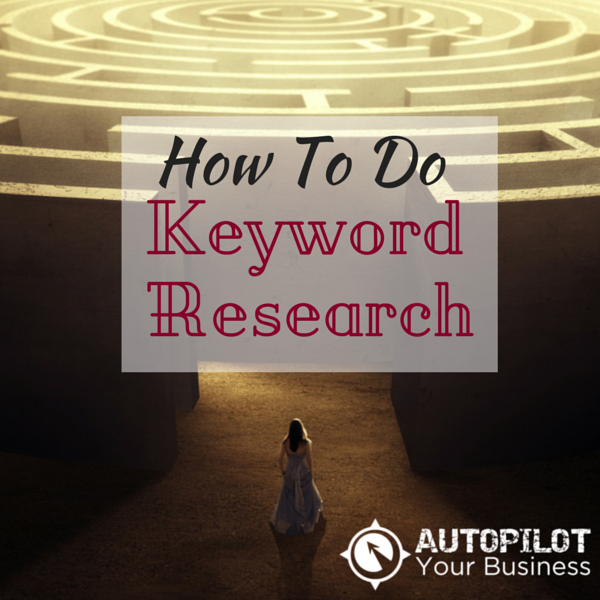 Check this out to make sure your keywords are trending in the right direction for searches. If they are going backwards, it may be an indication that they’ll no longer be much use to you. You may even like to experiment with running a test Google Ad yourself. Results from this will help you to know whether you have chosen a good search term to target as traffic will soon leave your site if they don’t land on what they’re expecting. When setting up your campaign, choose “exact match” for the keyword term and track results over at least 200-300 clicks. Get A PDF Version Of This Keyword Research Post – Click HereIn the end, yes keyword research takes a bit of work, but if you get it right the result should be more money in your pocket. Spending the time on research should identify whether you have a profitable niche (before you waste 2 years on one that isn’t!) 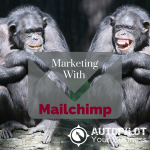 and how to optimise your content in order to drive traffic.